For the latest toy and action figure news, be sure to visit http://www.ToyNewsI.com on a daily basis! 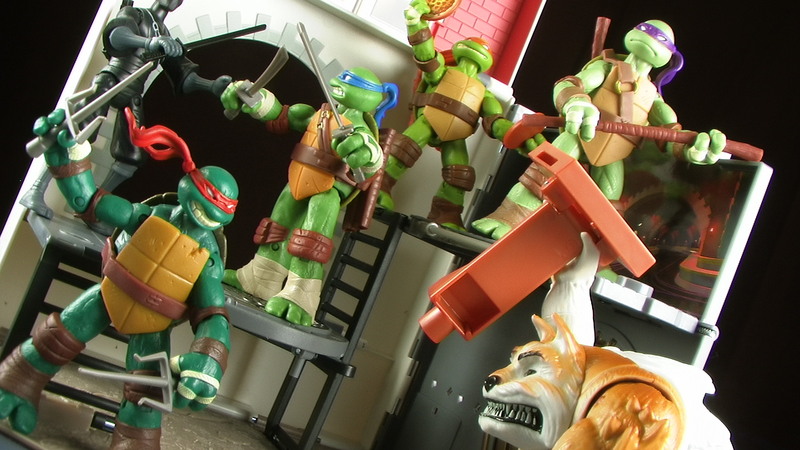 Playmates is really knocking it out of the park with their new TMNT toy line! Not only have they given us a slew of new action figures and vehicles, but we now have a second playset! Join me for a look at the new Pop-Up Pizza Playset known as Anchovy Alley! Awesome! Definitely getting a Mighty Max feel from this.How much does it cost? I heard $20 at Target, but I can't confirm nor deny that. I have the HUGE sewer playset, what I don’t understand is that on the sewer playset, the pizza shop is boarded up, but this one is open for business, is this another pizza shop on another part of the city? Also, they NEEEEEED to make add-on environments for the sewer playset!! Much better than I thought it would be. Another toy your review changes my opinion of. It's biggest flaw is coming out second after the Sewer Playset, hard to compete with that. Though with the reduced size and cost it is a very good alternative. 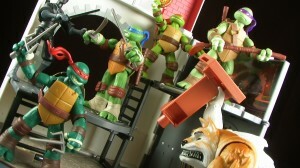 Can't wait till the Shredder playset comes out, hope it is just as cool as this one. naah… i don't think this can compete with the sewer playset. plus its coming out after christmas… for the price and size its going to get a lot more sales from casual fans and/or those w/o the display space. If only they put as much in to the figures as they do with the playsets. Whoever came up with the concept of the "pop-up" play set deserves a nice bonus. That's really impressive.